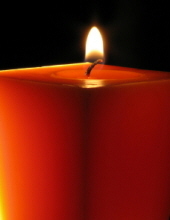 Esther May York Meadows, 73 Rosedale, passed away Thursday, April 11, 2019. Born November 3, 1945 in Lyburn, WV, she was the daughter of the late William and Elsie White York. Esther was also preceded in death by her husband James Matthews, two children Brady Lee York and James Riley York, four sisters Maxcine York, Helen Hager, Omma Harris and Tilda Austin. Those left to cherish her memory include her son Phillip Matthews of Rosedale, one sister Barbara Bryant of Dingess, five brothers William Joe (Wilma) York of Dingess, Dewey (Pattie) York of Dingess, Dave (Mary) York of Dingess, Lewis York of Dingess, and James (Alma) York of Dingess, and several nieces and nephews. Funeral Services will be held on Tuesday, April 16, 2019 at 1:00 PM at Dingess House of Prayer in Dingess, with Rev. Greg Taylor officiating. Burial will follow in York and Bryant Family Cemetery at Dingess. Friends may call on the family on Tuesday from 11:00 - 1:00 at the church. To send flowers or a remembrance gift to the family of Esther May Meadows, please visit our Tribute Store. "Email Address" would like to share the life celebration of Esther May Meadows. Click on the "link" to go to share a favorite memory or leave a condolence message for the family.